Katrina Gumabao's First Official Modeling Gig In The U.S.
Katrina Gumabao Talks About Her Modeling Career In The U.S. 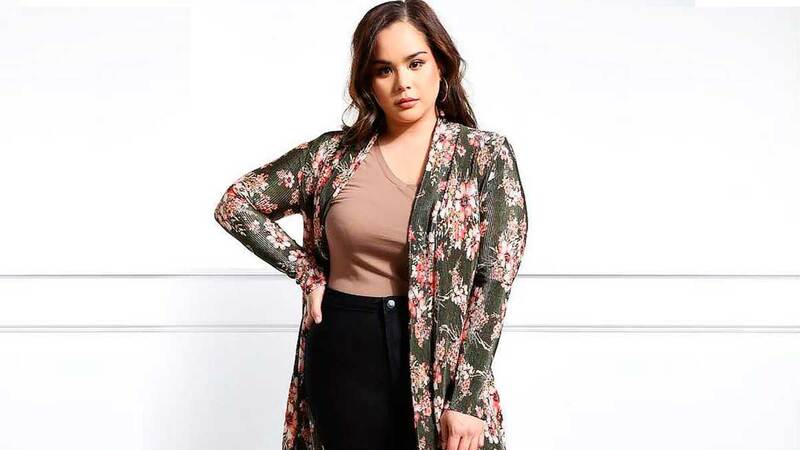 This plus-size Pinay is making us proud abroad! In September 2016, plus-size Pinay model Katrina Gumabao made waves at Melbourne Fashion Week (MFW+); she then slayed the runways of New York Fashion Week (NYFW) a year later. In an exclusive interview with Cosmo.ph, Kat revealed that she debated about what her next step should be. In the end, she decided to step out of her comfort zone and test her luck in the U.S.: "[I left the Philippines] because I hope that a career in the U.S. could boost the [body-positive] campaign back home." What's been the most challenging aspect of your move? Deciding what to bring! It took me two whole weeks to pack because I kept changing my mind about what to bring. All jokes aside, being away from my family has been tough. Also, being in a new place with absolutely no idea how to start [has been hard.] Every day is a struggle and a blessing. What were the steps you took to professionally prepare for the shift in your career? I did a lot of research—where to move, who to reach out to, which agencies I [could work with.] Next, I scheduled a photo shoot for my portfolio. I brought a professional model book and took it to every agency I met with. I also had to prepare my body, tbh. I knew the change in environments would hit me hard. I knew my skin would suffer. I went to my dermatologist and stocked up on meds and acne treatments. I tried to put in as much time at the gym as I could to stay healthy and keep fit. What is the difference between modeling go-sees in the Philippines and the U.S.? The clothes [in the U.S.] definitely fit better. The sizes are more standard and diverse. Castings are quick. There's a set time and the longest wait is around 30 minutes max. I don't hear body-shaming comments. They don't tell me to pose in a way that makes me look thinner or tell me to wear black so I look slimmer. People in the Philippines are more approachable; shoots there are more fun. I truly believe that hairstylists and makeup artists in the Philippines are more talented; they're more "pulido." What's the competition like over there? It's [more intense because there are more plus-size models] here. I need to be more patient and proactive. Congratulations on landing your gig with GS Love. What was it like? My agent called, informing me of the casting the following day. She told me who the client was, what I was supposed to wear, and what the client wanted to see. The next day, I arrived 30 minutes before my turn, and they saw me right away. They asked me to try on their clothes and pose for the camera. I only put on one outfit. It took about 10 to 15 minutes. The shoot was scheduled from 8:30 a.m. to 5:00 p.m. I am not sure how many layouts I did, but because it was for their online catalogue, the poses were simple: front, side, back, and a few detail shots. Any advice for fellow Pinay models who want to try their luck abroad? If you allow fear to stop you, you'll never know what you can do or where your bold choices can take you.